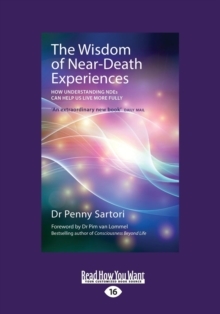 This book investigates the wide range of near-death experiences (NDEs) of patients that Penny Sartori has encountered during her nursing career, as well as the hundreds of cases of people who have reached out to her over the years. Many people take NDEs at surface value and are misinformed about the full extent of this highly complex phenomenon. 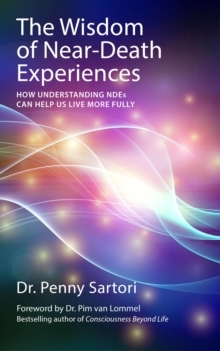 Dr Sartori argues that, by pathologising the NDE, we are missing out on vital insights that can empower us to live fulfilled and meaningful lives. Dr Sartori does not offer superficial physiological or psychological explanations for why these experiences take place. 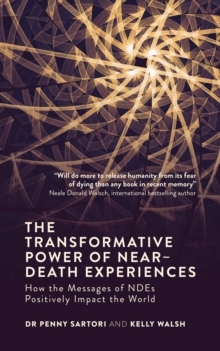 Rather, the crucial point of this book is that NDEs undoubtedly occur and have very real, often dramatic, and life changing aftereffects. Further to that, the wisdom gained during the NDE can be life enhancing and have hugely positive effects on those who don't have an NDE - all we have to do is take notice of and hear what these people have to say. 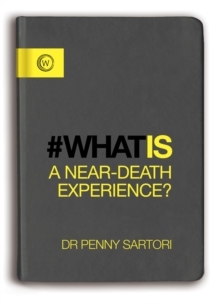 A greater understanding of NDEs can not only enhance the way in which we care for dying patients, but also revolutionise our current worldview. This book encourages readers to take notice of and incorporate the wisdom and powerful messages of NDEs into their own lives.